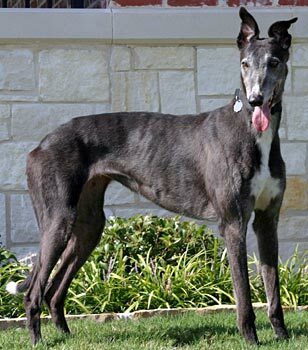 Lady is a beautiful, 9-year-old black female born April 9, 2000. Her sire is Dungaree, and her dam is Skiddy Native. Lady is the “G” pup and was not individually registered. 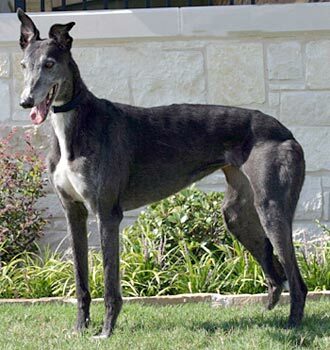 Lady, along with Truman, was in a home for 7 years in the Oklahoma City area. Because the owners were moving, a plea was sent out to surrender them both to an adoption group. 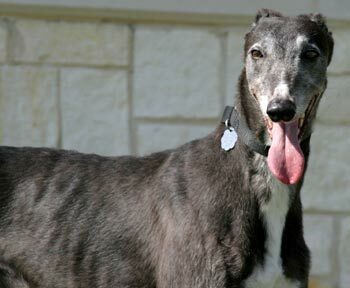 They both came into GALT’s family on August 2, 2009. Lady does crate well and loves the company of people. Lady passed her cat test and was allowed off-leash without a muzzle after initial introduction showed only mild interest. She had lived with a ferret before, but the cat was still a new creature. She showed interest and was allowed to sniff and observe the cat. After that, she was live-and-let-live with the cat, and on to explore the house.